You can avoid gingivitis by brushing and flossing daily. Adding mouthwash into your equation will cap off your equation for success. This is because studies have shown that mouthwash also helps fight off gingivitis. It can also help your teeth and gums remain healthy. Of course, there are also other benefits to using mouthwash as well. One of the most obvious reasons to use mouthwash is so that you'll have fresh breath. With so many flavors available to choose from, your bad breath smell is reduced temporarily. This works because mouthwash kills the bacteria that's known to cause bad breath. It also works because mouthwash removes the particles that are left after you've brushed your teeth. These are what cause you to have bad-smelling breath in the first place. 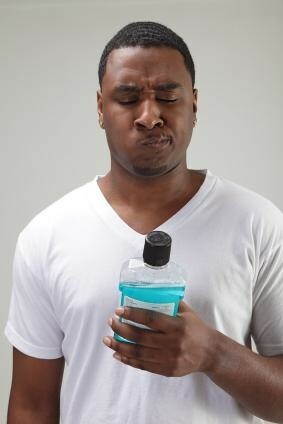 Of course, you can also use mouthwash before you brush your teeth to wash away any loose particles. This will actually make your brushing and flossing efforts more effective. Another great reason to use mouthwash is to prevent the build-up of plaque on your gums, between your teeth, and on the surface of your teeth. However, it's important to understand that this doesn't reduce the plaque that's already there. Additionally, mouthwash prevents cavities from forming. When you use mouthwash before and after you brush and floss your teeth on a regular basis, you reduce the chances of cavities forming. This is because most mouthwash contains fluoride, which is known to cavities and strengthen the enamel on your teeth. Of course, not all mouthwashes contain fluoride, so you need to check the label before buying it. Regular brushing, flossing, and using mouthwash is important between your regularly scheduled visits to our office. While here you can also talk to us about what mouthwash to use.